You are here: Home › #oklaed › #EdTech Lunch! 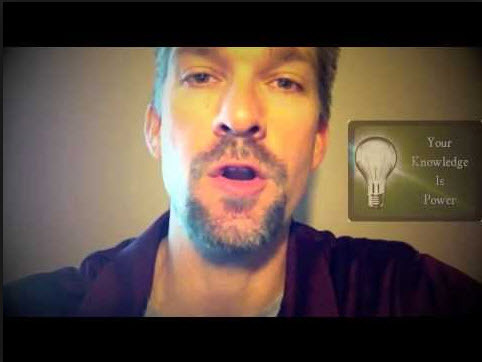 This is a screengrab of my first Google Teacher Academy video. Didn’t make it to that one, but I did use some of the items from the list below! I have a passion for educational technology (from here on #edtech) and I know that there is tons of stuff out there that I have no idea about…So I have started up an #EdTech lunch at school! Why not tap into the greatness that is already in my building: fellow teachers!! I work with some of the best people in education, from administrators being supportive of new things, to faculty that look for ways to incorporate technology into the classroom. There is no doubt my school district reaps the rewards of a very supportive community – every classroom has a smartboard, a computer (in many cases more than one) and a building tech expert (me at ours…). We have been fortunate with all that we have been given, but as a teacher trying to be the best I can be and also on the technological edge – I want more NOW! Camtasia – a fantastic program that you can use to create a screencast, edit video, create video, all kinds of cool things. An essential part of flipping any classroom! SnagIt – this is camtasia’s partner in crime. Grab any part of your screen and save it as a picture to insert into any document, or camtasia project. Twitter – your one stop power shop for #edtech or #flipclass or #whatever you are looking for! Tweetdeck – use this for instant responses in your class, ask a question and get real time feedback by searching a hashtag. Educreations – a free app for the ipad that records a basic lesson. You can’t edit what you have created, but you can post it online for kids to see later. Explain Everything – another ipad app. This one is not free, but not expensive ($2.99 if I remember correctly) and it also will record a lesson and give you some editing options. This one will also post to YouTube. We also talked about embedding HTML in a powerpoint, but could not agree as to whether this would really work or not and we have the issue of several different versions of powerpoint being in the building. Delicious Bookmarks – save all those cool websites in one place, and share with the kids all of the neat things you have for them. Livebinders – very similar to Delicious – but gives you the ability to group bookmarks by topic, or embed HTML code so that you never leave the page. This is a great website! Google Docs – the power in these tools is too much to list here! School districts all over the US and the world are going to Google Docs for Education (I wish ours would pursue this one). Collaborate at the same time on a document, have the kids post work and comment on each other’s…If you can think of it, you can do it! Webtrekker – this is a pretty handy piece of software that my school district has started using this year. It gives us the ability to access our school teacher drive from anywhere and it allows us to send “homework” to all of the students. How does this work?? The kids can logon as well! Evernote – A super handy app, that will go across all devices and syncs in real time. If you jot it down, it will be wherever you are later. Create lesson plans, import images or video, organize your thoughts. If you haven’t tried Evernote yet, make an effort to investigate very soon. Zite – an ipad app that culls the internet for the articles that you are interested in. As you start view and liking articles, the app narrows the scope of its search for only those things that truly interest you. Tellagami – an ipad app where you can make a video with different cartoon characters. It will take up to 440 characters, so you will maybe need to sum up a little. But this could be a great way to introduce a new lesson or provide some closure to the period. iMovie – The app version of the iMovie program for the Mac. This is a super great app that allows you to make a movie or a movie trailer and add some cool special effects. Use this to create anticipation with your classes by putting together a short video about an upcoming lesson. Check out this one that Kristina and I did for the beginning of the year. One Response to "#EdTech Lunch!"